As we know, proteins play a various role in our body. They have created useful and essential biological materials. For example, spider silk, which is particularly robust and more flexible. It also has a specific microstructure that gives useful properties.Creating proteins from scratch instead of using existing protein’s pieces would help scientists to create nanomaterials easily. 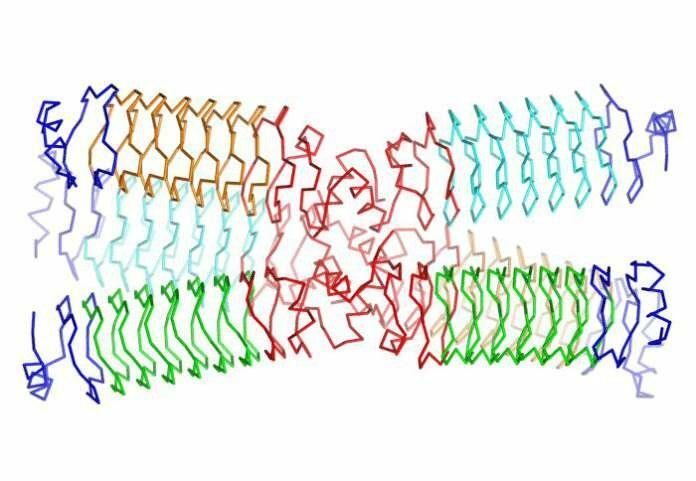 A team of scientists under the guidance of Imperial College London used repeating synthetic proteins as a base. This basic platform is a novel artificial repeating coil in which functional modules can be inserted. Scientists show that it is possible to add distinctive computationally designed modules, which is chosen for their ability to perform a particular task. Scientists design architecture on a computer by using artificial genes. Then they add X-ray crystallography technique to confirm they had built what they set out to. This system allows researchers to create proteins with atoms in specific places. This also develops complexity module by module instead of designing all proteins at once. Scientists just included an only single module to a helical platform for proof that system could work. Next, they want to add more loops to develop new functionality. Then, they will test it whether the synthetic proteins perform as expected.